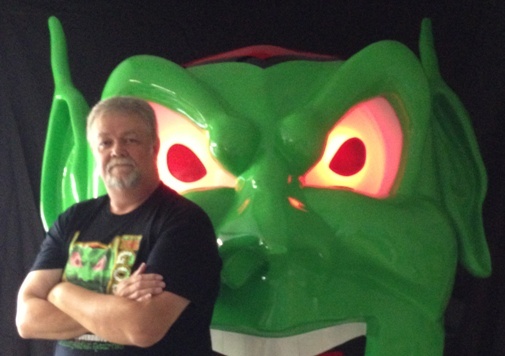 Interview with Tim Shockey by Raven_Heather | The Arcade Archives! Hello Tim. Thank you for taking time out of your busy schedule to do this interview. RH: How did you find out out about the Green Goblin; needing to be restored? 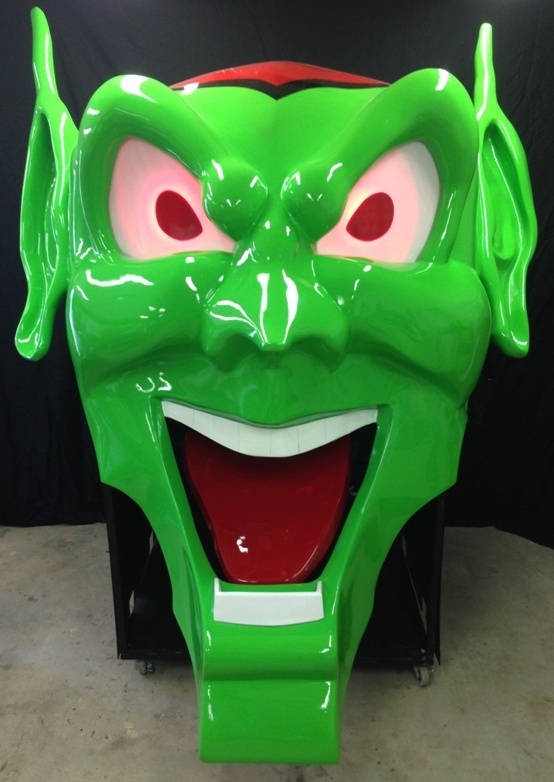 TS: I purchased the Green Goblin head in 1987. It was in really bad condition. The whole lower jaw, tongue and teeth and tops of the ears were missing and it was all burnt where it was blown up at the end of the movie. I knew when I bought it that it needed to be restored. RH: Why did you want to take on this project? TS: Ever since I first saw it I knew it HAD to be restored. It was to great of an item to be left in the state it was in. I just needed to wait till I had time to do it. RH: What went into restoring the Green Goblin? TS: In 2011 I started the restoration. I spent nights and weekends for 2 years restoring it. It was many hours spend alone in the garage doing fiberglass work and hand sanding. RH: Have you considered taking on another project like this? TS: If I were to find another project such as this one I would tackle restoring it too! Items like this need to be restored so fans everywhere have a chance to see them. RH: What is it like for you traveling to different events with the Green Goblin? TS: I didn’t know these events even existed until I was part of the way through the restoration. I started the restoration with the idea in mind that it would be put into my private collection. Then I posted some pics on Facebook and people started asking if I were going to take it to different shows / cons. I thought it would be so selfish of me to keep something this great to myself. I had to take it to share with fans everywhere! Sharing it with fans everywhere is my reward for all the work I did restoring it. 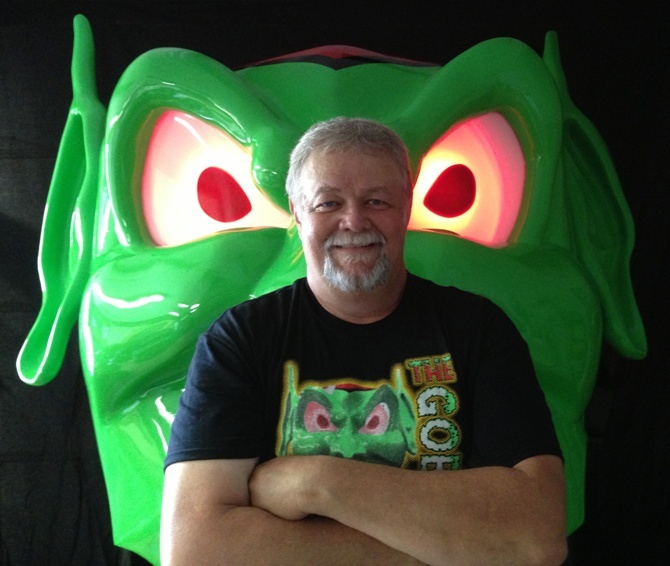 I love sharing my story with them and hearing their stories about Maximum Overdrive. RH: Do you have a favorite moment? TS: Every moment spent with fans is a favorite moment for me!! RH: You currently have go fund me running. Can you tell us about it? TS: Yes I would love to tell you about it. This project is a hobby of mine. I need a vehicle to pull the trailer to all the cons with. The truck I have is just worn out and really just don’t have the power to pull the trailer like it should. It has a 4 cylinder with over 200,000 miles. I have broke down several times going to and from cons and had to cancel 3 shows this year due to truck problems. I need the fans to help me with this. Donate and there are some great rewards! I have 2 shows left for 2014 and if I don’t behave a better vehicle the shows for 2015 will be extremely limited and be close to home. 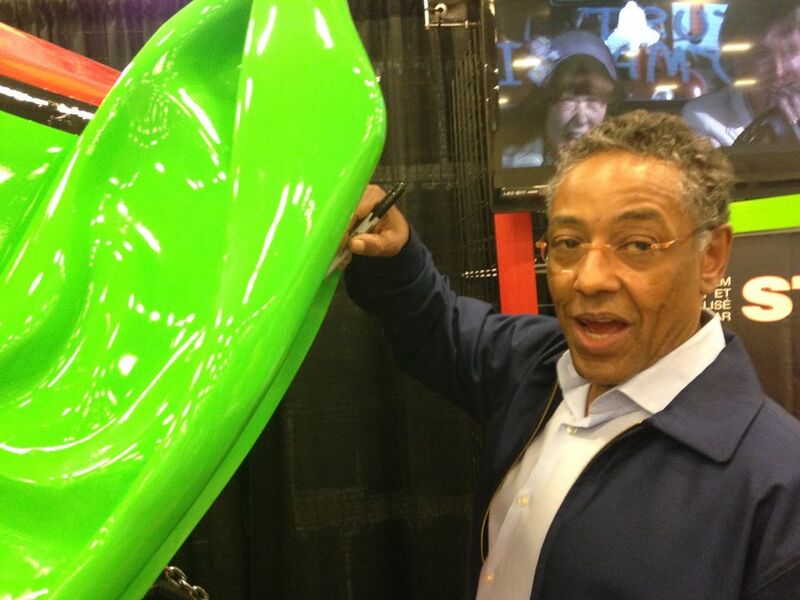 RH: When you were at Niagara Falls Comic Con; Giancarlo Esposito signed the Green Goblin. Have you had any other celebrities sign it? TS: He is the first and only to sign it. My goal is to get as many of the cast to sign it as I can! RH: Again Tim thank you for taking the time to do this interview. Don’t forget to check out The Green Goblins Facebook page and the Go Fund Me page! This entry was posted in Archive Entries, Interviews by ravenheather. Bookmark the permalink.